Have you looked at your roof recently? Even if you get it inspected twice a year (like you should), it doesn’t hurt to look up once in a while. Your roof takes a hard beating all year long. Whether it’s high winds, sizzling heat, or beating rain, it always has to stand up to something. If it starts to struggle, it will give you signs that it needs help, and if you’re keeping an eye on it, you’ll be able to catch problems before they devour your bank account. In our last blog, we explored missing shingles as well as algae and moss. Today, we’re going to share two more signs of roof trouble. Granules are the tiny little pebbles that coat your shingles. They help keep the sun off the actual asphalt. If you have an older roof and you’re starting to find granules in your gutters or at the ends of your downspouts, you have a problem. Once the granules are gone, the asphalt is exposed to the sun and will break down quickly. Contact us right away! 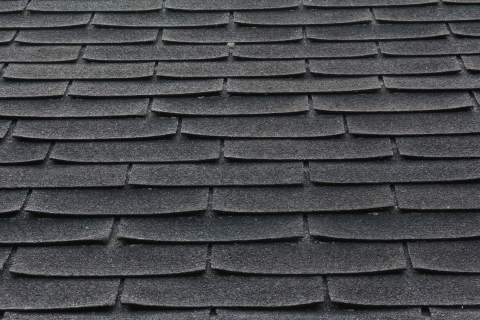 High winds usually crack shingles. If a few shingles are cracked, you can have them replaced. You only need to be concerned when the cracks are widespread. This means that your entire roof system needs attention. Whether you’re sure you have a problem or not, the team at Tim Leeper Roofing is ready to bring your peace of mind back. Contact us to learn more about our roofing services!